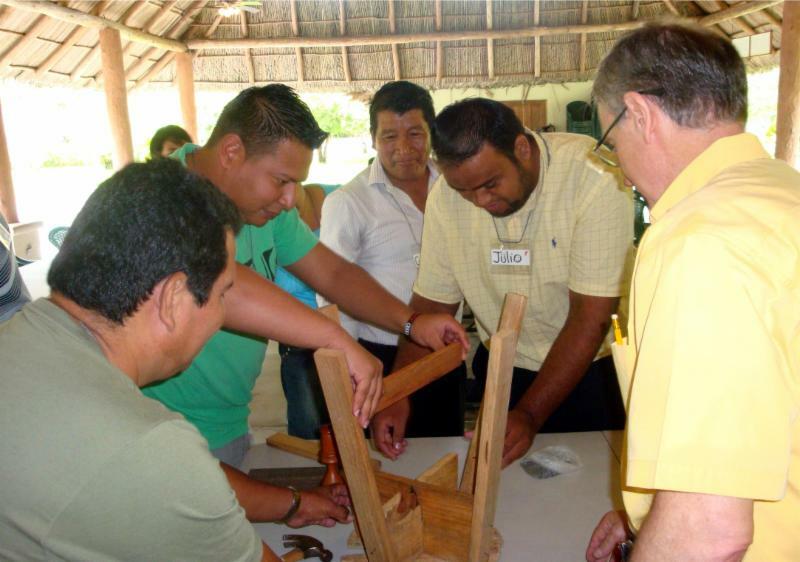 Earlier this year, Central American pastoral trainers participated in a GLOMOS course on preaching. GLOMOS stands for Global Modular Studies, a ministry of Global Action (a TOPIC Coalition Partner). GLOMOS offers a spectrum of basic courses for pastors. The facilitator/equipper for the one on preaching pastoral trainers has been Pastor Otto Kladensky held in Honduras and Guatemala earlier this year. Otto is a missionary with Christ for the City International, ‘on loan,’ serving as TOPIC’s Project Manager. He is based in San Jose, Costa Rica. Adults tend to learn by thinking, interacting and doing. “Show and Tell” with props are great tools to use because learners can connect with them. In the preaching course, Pastor Otto emphasizes the need for proper preparation. 2″ x 2″ wood cut, he calls “industrial,” to represent a message with a little preparation. The varnished lathe cut candleholder illustrates a “well prepared message” (sermon). He also uses a target with magnetic darts to explain that it is easier to aim and attain our goal if we have ONE purpose for the sermon, ONE central idea. Dart practice becomes a great attraction and lots of fun during ‘break times. 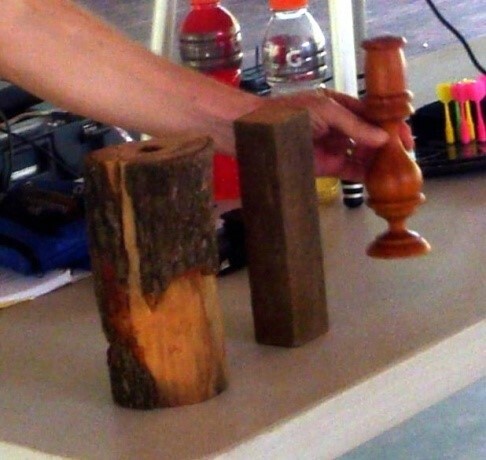 The assembly of a common wooden stool helps participants to see all the components required in a well prepared message (sermon). 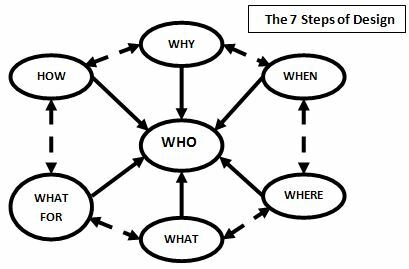 The stool needs the legs, supports, frame and the bench…just like the sermon, which needs: the central proposition (at the end of the introduction), the main point(s) (expressed in a progressive form), with appropriate illustrations, and relevant action points at the conclusion. Finally, for the test he asks the participants to completely clear their table space. Then he passes out a sheet of paper and a pencil with no point. Otto then takes one pencil and a pocket knife and starts carving a point on the pencil. With each stroke, he calls out the essential things learned during the course of the workshop. Sometimes there is dead silence. At other times, one can hear “Ohs” and “Ahs.” And sometimes there are tears. 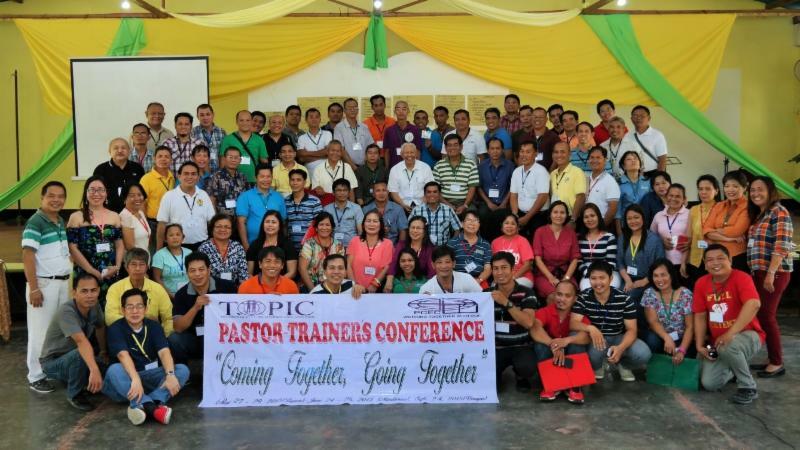 The fourth in a series of Pastor-Trainer Conferences sponsored by TOPIC Philippines was held in Faith Village, Boracay, Aklan, in September 2015. Seventy-five pastor-trainers representing sixty-eight churches participated. They came from Aklan, Leyte, Dumaguete, Cebu, Zamboanga, Iloilo, Nueva Viscaya, Bulacan, and Metro-Manila the Philippines. The conference was facilitated by four members of the TOPIC Philippines Executive Team (Philip Flores, Nathan Costes, Gil Balignasay and Roli Manuel). Promoting the 2016 Global Proclamation Congress for Pastoral Trainers in Bangkok, Thailand. Devotional messages: “Gathered for the Great Banquet,” (by Nathan Costes, based on Luke 14:15-25); and “Re-Living the Bayanihan Spirit,” (a Filipino term referring to a communal spirit of helping each other, by Gil Balignasay, based on the Book of Nehemiah). Philip Flores shared about TOPIC’s History (1999 – Present), the Decade of Impact, Focusing on our Focus, and TOPIC’s Key Principles – giving emphasis on the goal of producing 10,000 pastors who are equipped, maturing and Christ-like – by 2020. A TOPIC audio-visual was presented, followed by interactive ‘feedback’ discussions. Roli Manuel led the session on “Best Practices & Key Lessons,” using the 7 Steps of Design to determine what others are doing in relation to pastoral training. He also used the “Balanced Scorecard Perspectives” to help assess performance and results. Gil Balignasay led the discussion of “Challenges & Issues” participants face in the pastoral equipping process. Each group shared challenges and recommendations. 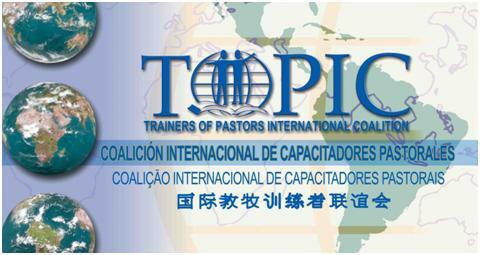 Philip Flores promoted the GPro Congress for Pastoral Trainers (Bangkok 2016). There was a video presentation of Dr. Ramesh Richard. Philip also gave a talk on “SOPAS” (State of Pastors), giving emphasis on the need for a new breed of spiritual leaders, today. A highlight of the three days together was the foot washing ceremony and prayer led by Nathan Costes.